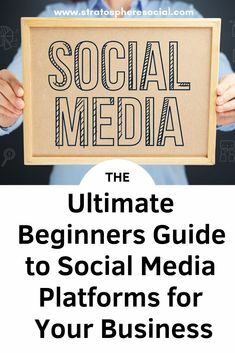 Having a Facebook page for business is a very important step in getting set up on Social Media. Your Facebook business page is one of the first places people will go to learn more about your business or brand. 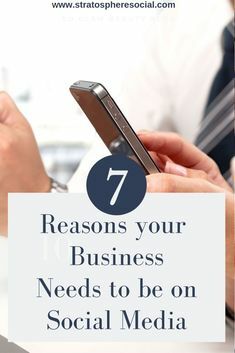 If you don’t already know, here are the reasons why your business needs a social media presence. So lets get started with a Facebook business page. Just follow these simple directions and you will be all set up in no time at all. You can either go to facebook.com/business and click on Create a Page or sign into your own account and click the little down arrow in the upper right hand corner. That will bring you a drop down menu where you can click on create a page. Next you will be asked if you are creating a page for a business/brand or if its a community/public figure page. Assuming this is for your business you will choose the business option. You will be prompted to add in your business name and address information. Take into consideration the fact that Facebook makes it annoyingly difficult to change your page name once it is public. The best course of action is to simply name your page after your business. Next, add in your businesses info like address and phone number. You can choose to keep the street address and phone number private. Then choose the category that best fits the type of business you have and click Continue. Now its time to get fancy. It’s time to upload your Profile picture. This can be your logo or a picture of you. Bright and eye-catching. This is the face of your company. It will appear every time you comment, post or message someone. Remember, it will appear as a square on your Facebook Page, but will be cropped to a circle in ads and posts, so definitely take that into consideration when choosing. Add a caption so if someone clicks on your picture you can introduce yourself. The cover photo will need to be optimized for desktop and mobile. The dimensions are 851 pixels wide and 315 pixels tall for desktop, 640 pixels wide by 360 pixels tall for mobile. Make sure any graphics or important text are optimized for the mobile area. Our society is increasingly mobile and the majority of people will be accessing from the Facebook App. This image should catch people’s eye and really encompass what your business stands for. You need to make sure that when someone visits your page they know right away what it is your stand for and who you are trying to target. If you are new to making graphics you can easily make amazing eye-catching graphics, on the cheap, by using Picmonkey or Canva. You now have a brand new page for your business. If you are completely new to making pages then I recommend taking the short walk-through of the key features that Facebook provides. Now you get to fill it in with fun stuff! This is how people will find you on Facebook, by typing @yourbusinessnamehere when they are in Facebook or Messenger. Click on the Create page @username located right under your profile picture. Enter in the username that you prefer. I suggest the exact name of your business or something equally relevant, easy to type and remember. Facebook will let you know if your name is available. Click Create Username when you’re done. Yay! This is just a short description so people can quickly see what you are about. It’s a max of 155 characters, so short and sweet is key here. Just click Add a Short Description and do it up. On the left-hand side, you will see a whole menu of fun stuff for your page. Right now you are going to click on the about link. From this page, you can add your specific business details like business hours, contact information, and links to your website and all of your social accounts. The Edit Story on the right side of the screen is where you can add in a longer description of your business. This is where you can explain what your business offers and why they should like or follow your page. Show them what you’re working with. You can click on edit page info to add in all your info. Then click save. By default, Facebook has a Send Message button in the right-hand corner underneath the cover photo. This is your Call to Action button. If you hover over it you will see a drop-down menu appear. You now have the option to delete it (don’t do that) or edit it. Click edit. This is a powerful button. You now have a few options for the next steps you want your visitor to take. If you offer services you can add a book now button. If they click on it they will have the option of scheduling a time to meet with you via a scheduling app or will go directly to your website. You can take the user to a promotional video or take them directly to your website so they can learn more about your business. If you have a current promotion running you can choose to take the user directly to it. If you have a community attached to your business this button can direct them there. There are a bunch of options and you can change them at any point. Now its time to create your first post! Populating your page with some amazing content will make it more inviting to new users. You can share your own posts or relevant information from your industry. Its completely up to you but make sure that it provides value to your visitors because you want them to keep coming back for more. Videos. Facebook loves all types of content. There is the option to create different types of posts like events, polls or special offers. Just click the + symbol next to event, products and it will bring up the whole list. Now you are ready to post your content. You can choose to post now or you have the option to backdate your post, schedule it to post at a later time or save a draft so you can come back to it. For right now I suggest posting a few different things. Feel free to backdate a few posts if you don’t want it to look like you just posted everything at once. Your page looks great and is populated with awesome content and information about your business. It’s time to invite your friends and family to like your page. Assuming you are already on other social media platforms, go ahead and promote it on those channels as well. Ask your customers to leave a review of your business. Add the link in all your blog posts. You officially have a Facebook page for your business. Congrats. The basics are finished but there is more to be explored! Now its time to check out the settings. You can control everything from here. You can set up profanity filters, notification settings, languages. All. Of. The. Things. You can link your Instagram account so that when you post to it, it will also post to your business page. There are tons of options here for optimizing your page. Go ahead and check it out. But don’t worry, you do not have to get all of this done right now. Also, these settings can be changed at any time so don’t be nervous to play around a little. Make sure to check out the page insights section. This feature makes it really easy for you to gather data about how your followers are interacting with your page and its content. It gives you information on your audiences demographics and engagement. This will help you understand what content is really resonating with your fans and what you should avoid in the future. There is also the option to see how many people clicked on your information such as your call to action button and website. You won’t have much in the way of data right now because you just set up your page so just remember to come back to this page as you grow your following. Now your Facebook business page is all set up! Don’t forget to go out there and promote it!